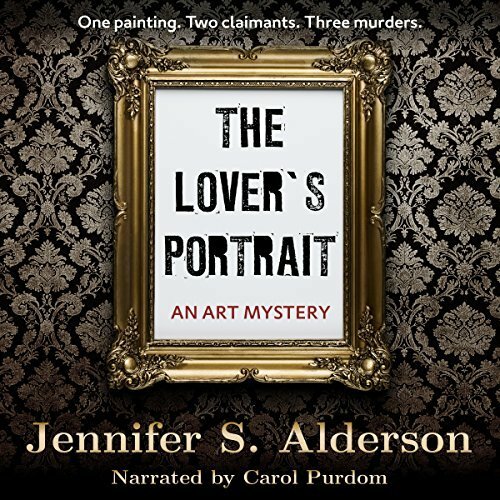 The Lover’s Portrait is the perfect novel for those who love art, history, and mystery. 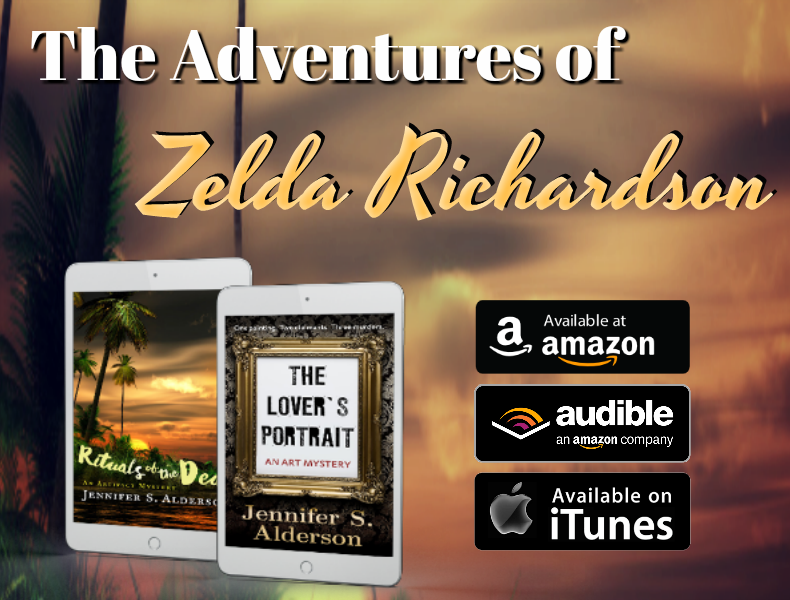 The Adventures of Zelda Richardson series are stand-alone novels and can be listened to in any order. The narrator did an excellent job 🙂 she was able to make all the characters distinct and interesting! Audio quality was excellent too. I I’ve it a 5/5 stars. The novel was great as well, I thought it was exciting and interesting and well thought out! I give it a 5/5 stars! I received this audiobook as part of my participation in a blog tour with Audiobookworm Promotions. The tour is being sponsored by Jennifer S. Alderson. The gifting of this audiobook did not affect my opinion of it. I don’t know about better, but I do believe mysteries work well as audiobooks. Listening to my own reminded me of old radio shows, when every episode ended as a cliffhanger meant to keep readers and listeners engaged so they keep reading or listening to my story. Two of my novels have been recorded as audiobooks. 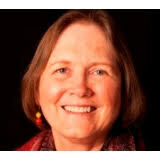 Carol Purdom was one of several narrators who auditioned for The Lover’s Portrait. I believe her calm, soothing voice is the perfect choice for this dual timeline mystery about Nazi looted artwork. Rituals of the Dead is a faster-paced adventure thriller and demanded a different kind of reading. I had received a few auditions but they didn’t seem right. I found Chelsea Stephens through ACX and asked her to audition. Her narration had the energy I was looking for and she did a great job of keeping the story moving forward at a high tempo, as the printed book does. I worked closely with Carol Purdom during the entire production process of The Lover’s Portrait. She would send me raw files every week so I could check the many foreign words, as well as make any suggestions regarding her accents. I would comment on the files and – if needed – she would make any changes before moving forward. Once she was finished, they were edited and uploaded to ACX. That was the first time I listened to the entire book in one go. Chelsea Stephens recorded all of the words on our ‘difficult to pronounce’ list and sent them to me for approval before starting to narrate Rituals of the Dead. I did not hear any of the chapters until the entire audiobook was recorded and edited. To be honest, whenever Chelsea would send over a progress report, it was extremely difficult not to ask her to send a chapter over! Those may have been a nerve-wracking few weeks, but her performance was so good, my nervousness dissipated as soon as I started listening to the final product. Both narrators asked for detailed character sketches and pronunciation tips. Considering the large amount of foreign words, character and place names mentioned in both books, that’s not surprising! I also recorded videos of myself pronouncing the Dutch words and sent them to both narrators. That was tremendously useful for all of us. All of my books are directly inspired by past travels, my background in journalism and ICT, as well as my strong interest in culture and art. After a short career as journalist and computer geek in Seattle, Washington, I spent several years exploring countries in Oceania, Central America and Asia. After living in Darwin, Australia for almost two years while studying cultural anthropology and aboriginal art, I moved to Amsterdam, the Netherlands to study European art history. During my studies and journeys, I have come across so many incredible and intriguing stories that I could write a hundred art-related travel mysteries and not have to repeat myself. The Lover’s Portrait is a suspenseful “whodunit?” about Nazi-looted artwork that transports readers to wartime and present-day Amsterdam. To write it, I used my own experiences as a collection researcher and exhibition assistant at several Dutch museums as a starting point. The Lover’s Portrait came to be because I was curious about Nazi-looted artwork and wondered what would happen if two people claimed the same painting. During many lectures at the University of Amsterdam, we spent a lot of time discussing restitution cases involving looted-art, especially paintings stolen by the Nazis during World War Two. I often wondered what would happen if two people claimed the same painting. This question became the central plot of my art mystery, The Lover’s Portrait. The rest of the stories and characters were inspired by archival research I’d conducted into this dark period of Dutch history. My latest thriller, an adventure mystery set in Dutch New Guinea (Papua) and the Netherlands, was directly inspired by my work as a collection researcher for a fascinating exhibition of Asmat artwork, Bis Poles: Sculptures from the Rain Forest, held in the Tropenmuseum in Amsterdam. During the course of my work, I came across so many stories about head hunting raids, crazy anthropologists, hapless colonial administrators, and insanely brave missionaries that I knew I had the basis for a fascinating mystery about artifact smuggling in my hands! All of the characters in the historical chapters of this novel are based on real explorers and their first-hand accounts of their experiences – the most famous of which was Michael Rockefeller. His movements are so well-documented it was easy to use Rockefeller’s general experiences as a starting point for Nick Mayfield, though my character is definitely not Rockefeller. Information I found about Reverend Zegwaard and several renowned Dutch explorers, such as Carel Groenevelt, also helped to shape the story and motivations of the characters. In parts of both The Lover’s Portrait and Rituals of the Dead, the suspense seems to be more intense in the audio version than the print version. 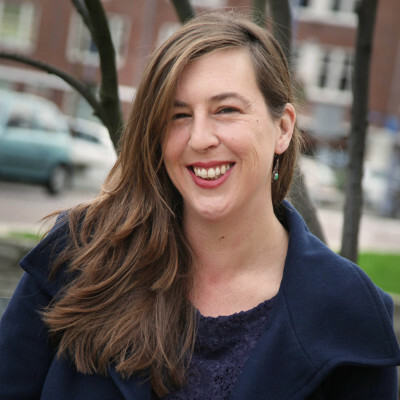 When listening to The Lover’s Portrait for the first time, I was happily surprised to hear how well my descriptions of Amsterdam work when read aloud. I had the same burst of joy when hearing how my descriptions of Dutch New Guinea (now Papua) sounded in Rituals of the Dead. If listening to an audiobook allows someone to ‘read’ a book they otherwise would not be able to (because of time, a medical condition, etc.) how can that be seen as inferior?Since the release of my first audiobook, I have had listeners thank me for recording an audio version because they suffer from migraines or other physical ailments that prevent them from reading, are commuters who have no other free time to read so listen to books in their cars or on public transportation, and others who are too busy to sit and read for an hour so combine audiobooks with household chores. These are all readers who would not have discovered my work had I not created an audiobook of it. So no, I do not agree that listening to a book is cheating. If anything, making two of my novels available as audiobooks helps me reach a new target audience. An extended happy dance then a delicious meal and fine wine. The day after is reserved for something fun I have been putting off because of writing – going on a long bike ride, a day at the spa, an extended lunch with a friend, visiting a museum exhibition, that kind of thing. After that, it’s business as usual. My son still needs to be brought to school, marketing plans need to be created, and my other books still need promoting. Technically the books in my Adventures of Zelda Richardson series can be read in any order as stand-alone novels. They are a series only because they follow my protagonist, Zelda Richardson, on her travels around the globe. As an author, I enjoy having at least one reoccurring character to start my story with, because it gives me a sense of familiarity. I know Zelda well, and what she would and would not do. Readers also get to know her better and watch her grow as the novels progress. Luckily those who have read the series like her and enjoyed seeing the direction she heads. Yet, having Zelda surrounded by a shifting cast of characters enables me to explore new personalities and keeps the story fresh. I am afraid I would get bored if the cast stayed the same in every book. That is also why I try and set each novel in a different location. It allows me to indulge my wanderlust by researching a new setting and ensures I do not rehash old descriptions of the same places in each story. My characters do not appear in my dreams, but they do invade my thoughts. It does happen that a character I’ve created will complain about a word choice or protest an action as ‘out of character’. Which frankly, always feels strangle because it really does seem as if someone is talking to you – from inside your head.Honestly, I am thankful they come alive and chat with me and each other! It helps make for a more believable story and dialogue. I swear there are moments when I only have to pull out a pen and write down the conversation going on in my head. Food: Indian samosa’s and Thai fish cookies are tied as my favorite. Both are a delicious medley of flavors I savor as often as possible! Book: There are so many books that I treasure. The first novel that popped into my head was The Ghost by Robert Harris. It is a thriller that keeps you guessing right down to the last word. I am in awe of his writing, pacing, storyline, characters, and subject matter. It truly is a brilliant book! Television show: Right now, that would be Homeland. I love the lead character Carrie as much as the entire cast. The intricate plots keeps you guessing and the pacing is tight. Highly recommended, though it is best to start with Season One. Movie: Until the End of the World by Wim Wender is one of my favorites, probably because I would love to have the same journey as the lead character, Claire Tourneur (played by Solveig Dommartin). It is truly the ultimate road journey, taking her from Europe to Russia, Japan, Australia, and finally outer space. Claire stands open for any and every new experience that crosses her path, and ultimately has the adventure of a lifetime. I am quite envious of her trip! Band: There are too many to choose just one! According to my iPod, Warpaint is currently the most frequently played band, so I’ll go with them. City: Amsterdam, the Netherlands! Since 2004, my home town. Are any of those things referenced in appearance in your work? Amsterdam features heavily in both The Lover’s Portrait and Rituals of the Dead. My life here inspired the plots and several characters in both novels. It is truly a joy to use my adopted home town as a setting for my novels. I don’t know if I would have been able to describe my birthplace, Seattle, Washington, in the same way I describe Amsterdam. Here, I still see everything with a tourist’s eyes, because – despite having lived in the country for more than 15 years – I still feel like I just moved here! I am currently outlining the chapters of mystery number four in the Adventures of Zelda Richardson series – another art-related tale about thefts and forgeries. The spectacular theft of two Vincent van Gogh paintings from the Van Gogh Museum in Amsterdam – and their equally remarkable return – inspired the plot. Researching the novel, knowing it could still go in any direction, is always an exciting place to be in the writing process. It will most likely be set in the Netherlands, Italy, Turkey, and possibly Croatia. I am looking forward to researching the locations first-hand! The Secret Wife by Gill Paul – historical fiction. Excellent dual timeline story about the Romanov’s last days. It’s not really a mystery, but the author does keep you in suspense as several important storylines converge at the end of the novel. Jumping the Cracks by Victoria Blake – crime fiction. It is the first mystery I had read which effectively combined anthropology, the museum world and crime fiction. It was inspirational! Titian’s Boatman (also) by Victoria Blake – historical fiction. Her lush, evocative descriptions of Venice in the 16th century and present-day London transported me back to both cities. Her eye for detail brings the characters, settings and story to life. It’s one of my favorite books. The Master by Dora Ilieva – Archeological mystery. The story is well-crafted and intriguing, as are the author’s descriptions of Bulgaria, a country I’ve yet to visit but now want to. Fast Track to Glory by Tomasz Chrusciel – Thriller. This extremely well-executed action thriller is set in around the world. I am in awe of his pacing and plotting. The Expats by Chris Pavone – Thriller. Sophisticated mystery and wild goose chase adventure through Europe. I really connected with the amateur sleuth driving the story. The Art Whisperer by Charlotte and Aaron Elkins – Art Mystery. This is the third book in an enjoyable series of four following a freelance art restorer who has a knack for getting into art-related trouble. The Ghost by Robert Harris – This is one of the most impressive stories I have ever read. Every word matters and his pacing is incredible. This is a true page-turner that kept me guessing until the very last sentence. Savage Harvest: A Tale of Cannibals, Colonialism, and Michael Rockefeller’s Tragic Quest for Primitive Art by Carl Hoffman – Real-life adventure. A journalist and explorer recounts his fascinating journey to Papua New Guinea, where he retraces the last art-collecting expedition made by anthropologist Michael Rockefeller. He effortlessly combines mystery, adventure, personal self-discovery and colonial history into one captivating novel. The Beach by Alex Garland – adventure/crime fiction – This classic is the reason I began writing. Not that I thought I could do better, or anything like that! It was the first fiction story I had read that combined crime, mystery, young adult angst, backpacking, wanderlust and adventure so seamlessly. Thank you so much for choosing to review my art mystery! So glad you enjoyed it.